For permission to reprint or use any material on this site, contact us! TeleHealth (online) sessions now available to qualified clients! Ask Mary about this option! The brain develops from the bottom-up, so interventions for behavioral, emotional, and cognitive change are not going to be effective if we start with top-down approach (what's that?). Clients come into my office with complaints about poor communication (not feeling heard, frequent arguing, parenting differences), of not connecting enough (emotionally, sexually, etc. ), financial struggles, extended family issues, infidelity (physical or emotional), stress, and trauma. I see clients who are trying to learn whether it's time to divorce or if there's hope for a better relationship together. I see families that are trying to get along better and manage life transitions. I also work with parents whose children are struggling with behavior, mood, or anxiety issues for any number of reasons. Overall, I work with individuals and any relationship that is struggling, from intimate partners, parent-child relationships, families, to friends, and even work relationships. Mental and physical health is determined by connection at every level, from connections at the neural level to the family connections between individuals, so I work with every level. 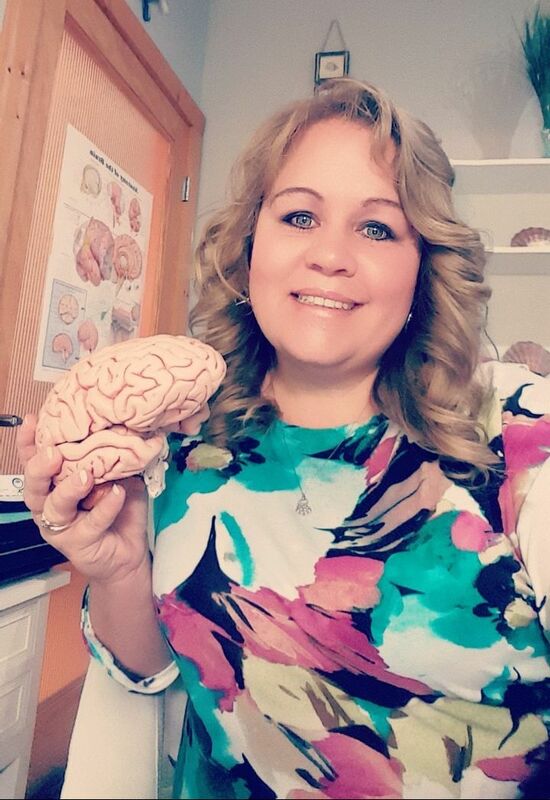 All my clients easily learn about the neuroscience of the brain, mind, and body so all family members are clear about how to work WITH, not AGAINST, each family member's brain! Therapy is not about finding out if you're crazy, it's about learning how normal you already are and for discovering options for improving your life. Working with me you will get a trustworthy, confidential, compassionate, experienced, unbiased, educated, and science-minded Licensed Marriage and Family Therapist (LMFT) trained in Neuropsychotherapy and Interpersonal Neurobiology (IPNB) who uses a direct, but considerate approach. I'm also certified in Rapid Resolution ​Therapy (RRT). I offer a form of rapid memory reconsolidation that erases the emotion attached to a memory, allowing clients to quickly process trauma and stress without reliving the event(s). I also offer supervision for clinicians through a systems, neuropsychotherapy, and interpersonal neurobiology lens. I specialize in couples issues, parenting, divorce issues (including prevention, recovery, & preparation), blending healthy families, trauma, anxiety, and many other issues. Whether you have issues with your current or former spouse/partner, child, parent(s), or siblings, I can help you find some peace (and usually even quiet) in the relationship. I'm a specialist in Parent Training and Relationship Education. I draw on my personal and professional experiences to help you learn how to draw on yours and to help you find the happiness and success you're seeking in life. I use humor, lightheartedness, calm, and methodically challenging approaches to educate you about your options, but you always decide how far you're willing to go to improve your life and your relationships. Perhaps, more importantly, I am not your shame keeper. I am the person that helps you remove shame! Life is always better without it! I don't write prescriptions for medication, perfection, or moon chanting (haha, I just googled that and it's a real thing!). However, I do encourage, respectfully challenge, and teach (if necessary) accountability, listening, acceptance, self-challenge, and even mind and brain development (neuropsychotherapy, interpersonal neurobiology). I may suggest that you golf, spa, hunt, or club with each other as a couple if those are things you would or used to like doing together (please note: the last sentence said "club WITH each other"--NOT "club each other."). I always include parents in child therapy and I advocate for both parents and children. I am unbiased, woman-friendly, man-friendly, and child-friendly so do not worry about me judging you. We are all human and I help all people learn to accept humanness in themselves and others. To achieve effective change, we must work with the brain, not against it. I jest throughout this page, but I am very dedicated to effective care! So, on a serious note, the first step to success in therapy comes in understanding that asking for help shows strength, not weakness. ﻿REMEMBER, seeing a therapist does not mean you have a mental disorder and I don't view my clients that way. Learn about FEES & INSURANCE here! ​Learn more about the BRAIN here! ​Check out MORE Mantherapy here!